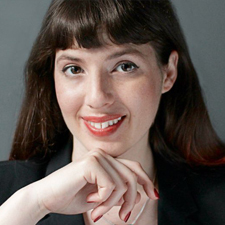 Cyber Security Expert and Advocate for Goodgirls Write Code, Keren Elazari, talks about Goodgirls Write Code and the book she co-authored: Women in Tech. As well as why it's important to get young girls involved in computer science. Cyber Security Expert and Advocate for Goodgirls Write Code, Keren Elazari, talks about how she found her calling in the tech industry and what we can do today to get more young girls involved in S.T.E.M. related fields. Sasha Oppleman, founder of Goodgirls Write Code, interviews cyber-security expert and co-author of 'Women in Tech', Keren Elazari. Our supporters serve as critical champions to Goodgirls Write Code. Keren Elazari is an internationally celebrated researcher, author and speaker on all matters related to cyber-security and hacker culture. Since 2000, Keren has worked with leading Israeli security firms, public organizations, Big 4 and Fortune 500 companies. Her research and writing about security has been featured by Scientific American, WIRED, CNN and more. Keren holds a CISSP certification and Masters in Security Studies from the prestigious Security & Technology workshop at Tel Aviv University – where she is a senior researcher with the Balvatnik Interdisciplinary Cyber Research Center. In 2012, Keren held the position of Security Teaching Fellow with Singularity University, at the NASA Research Park in California. Keren is a distinguished public speaker and featured at international events such as TED, RSA Conference, TEDMED, TEDx, DLD, DEFCON, NATO, WIRED and many more. In 2014, Keren became the first Israeli woman to speak at the annual TED conference. Keren’s TED 2014 talk has been viewed by 1.5 million people online, translated to 26 languages, selected for TED’s list of ‘Most Powerful Ideas in 2014’ and Inc.com’s list of ‘Top TED Talks for Entrepreneurs’. Her latest collaboration is co-author of the book "Women in Tech: Take Your Career to the Next Level with Practical Advice and Inspiring Stories”, (March 2016, Penguin Randomhouse). Keren Elazari is a proud supporter for Goodgirls Write Code.